Ahhh, the sweet taste of betrayal. That umami-like tang of broken promises; of friendships sundered and partnerships trampled with abandon on the rocky ground of opportunity… Who doesn’t love a good betrayal? 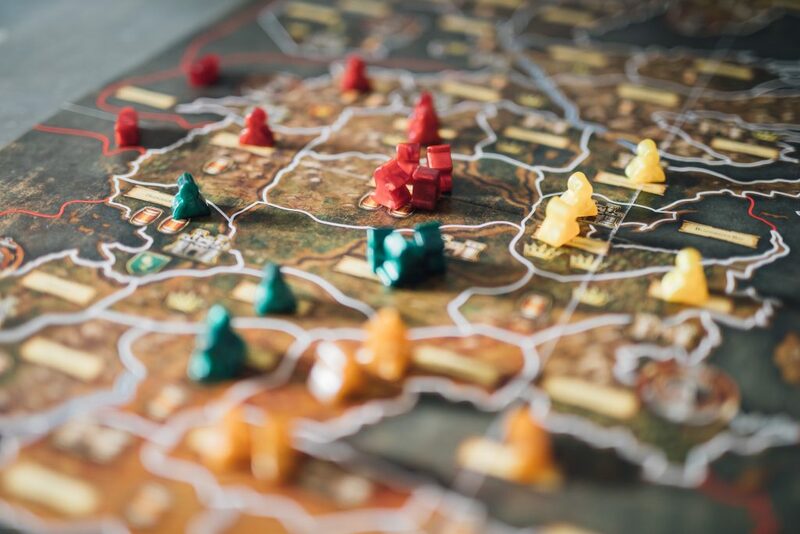 If you too love a spot of duplicity then read on, because it’s a dish served up with regularity (not to mention relish) by Game of Thrones: The Board Game (2nd edition). And just like revenge, you better believe it’s going to be served cold because no dish is going to stay warm for the many hours you’re going to spend around the table preparing it. Possibly while eying the blank, untrustworthy stares of those people you used to call friends. 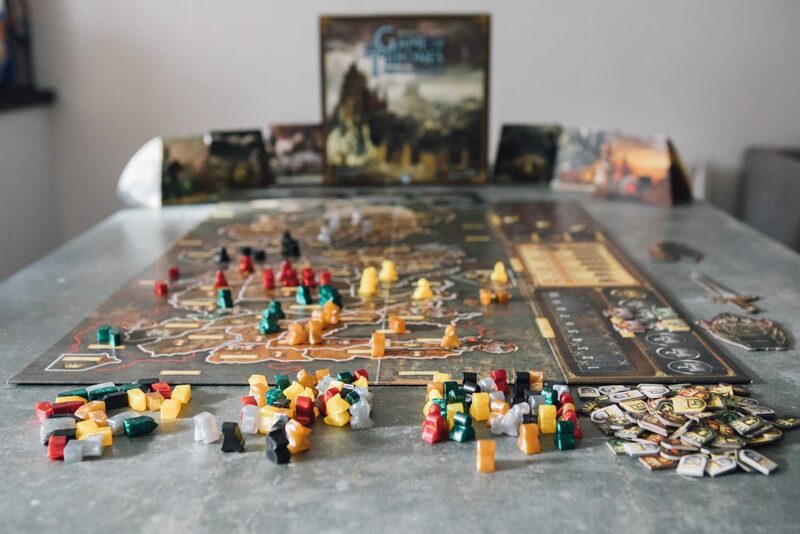 You see, much like its source material, Game of Thrones: The Board Game (henceforth simply Game of Thrones) is NOT a game about playing nicely together. It is, however, very much about conquering the war-torn land of Westeros, forging and discarding alliances with all the sincerity of a used car salesman assuring you that those stains on the back seat are factory issue. The game (without expansions, at least) is set at the very beginning of the TV/book series (delete as preferred) so the entire game is also spoiler-free. That scene where SPOILER falls through the open bar? Or the hilarious chapter where SPOILER loses his job at the nuclear power plant? Even that classic episode, Bouncer’s Dream is missing – so enter with a word of caution that none of your favourite fan moments have happened yet. Fan service aside, the elevator pitch is essentially Risk, with fewer dice, more lying, and a whole lot more complexity. There are so many mechanics baked into the mix, from supply tracks to hidden orders and auction phases to random events that anyone who baulks at the reality of Risk but still wants to dominate the world will find a lot to like here. So here’s the thing. There are a lot of great ideas in this game. 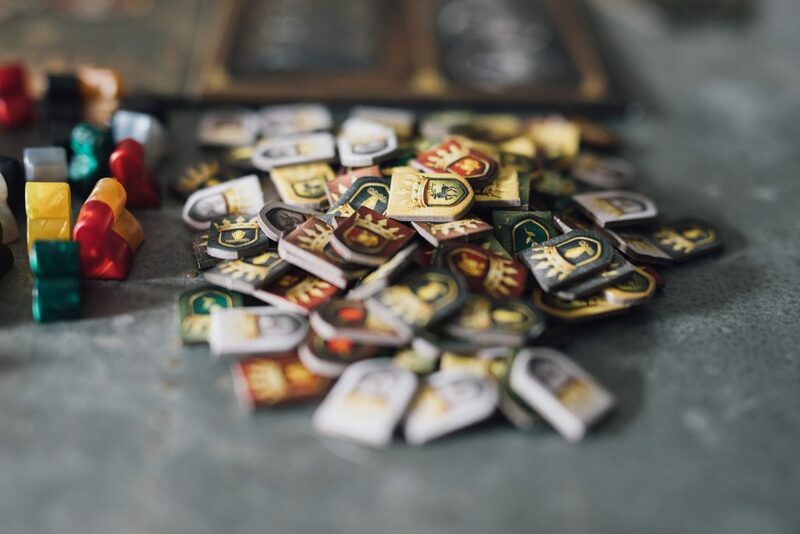 The hidden order mechanic – where everyone chooses their moves in secret and reveals them en masse in one fell swoop – is brilliant. 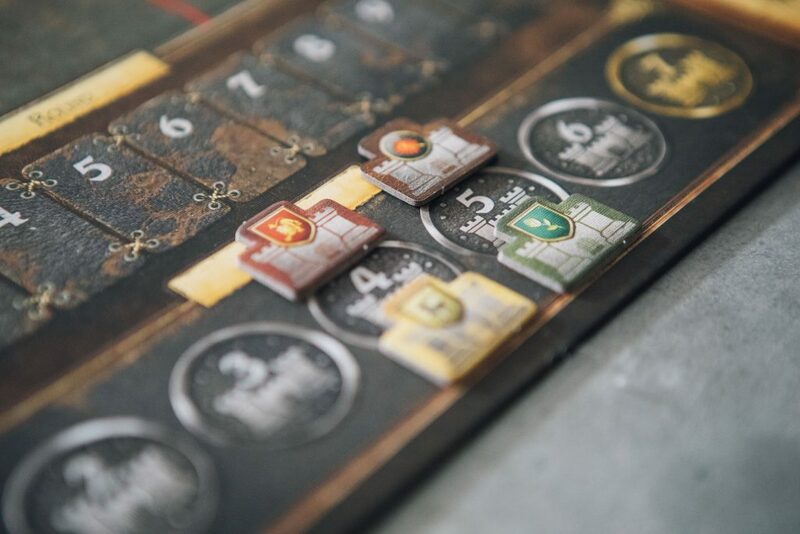 So too is the supply mechanic, whereby the size of your armies is limited by the number of key resource-rich regions that you hold. Losing one of these regions doesn’t automatically ravage your forces – but it DOES leave you overextended and in desperate need of reclaiming it (or a fresh one) before the game forces you to reassess that ol’ supply track and wipes out your best troops. 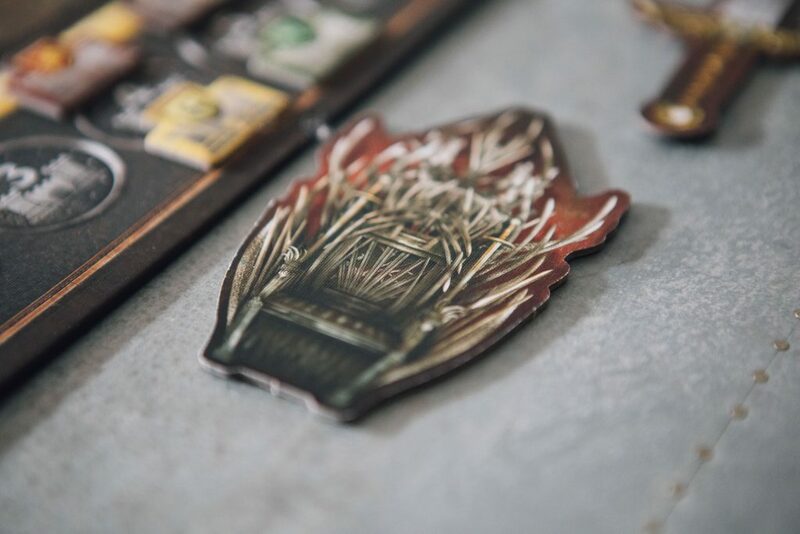 There are a number of ‘tracks’ in the game that represent where each House sits in the complex political murk that George RR Martin’s series is really about. These tracks offer certain bonuses to players, from dictating the winner of draws in combat to increasing the number and efficacy of orders available to you. Where everyone sits on each is decided by a blind bid that the game periodically throws at the players, and guess what? Yes: both of these mechanics are brilliant, too. If you like the HBO series, or the original novels, then you’re in for a treat. The joy of plonking a beautiful representation of THAT map down on the table and spilling your troops across it, hamming up the best (or worst) traits of your chosen house, really is as entertaining as it sounds. Admit it. It looks purdy, doesn’t it? If you think there’s a ‘but’ coming… you’d be right. 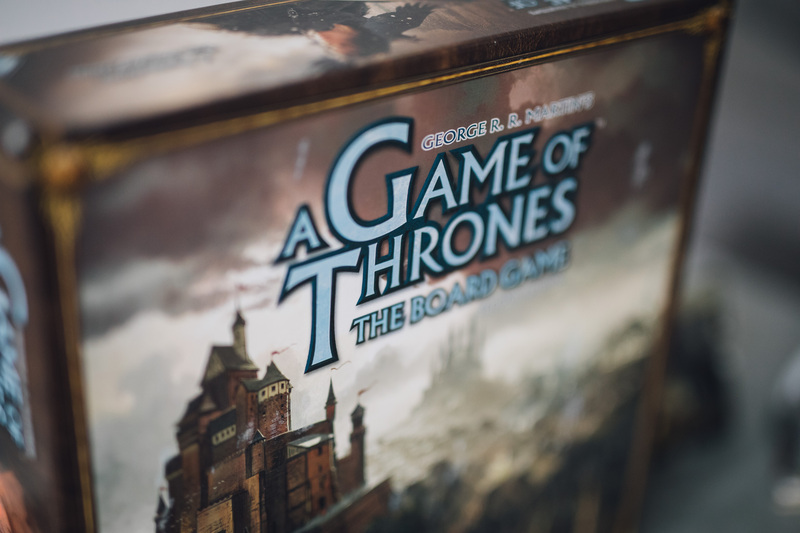 The thing is, Game of Thrones: the board game is not for the faint of heart. 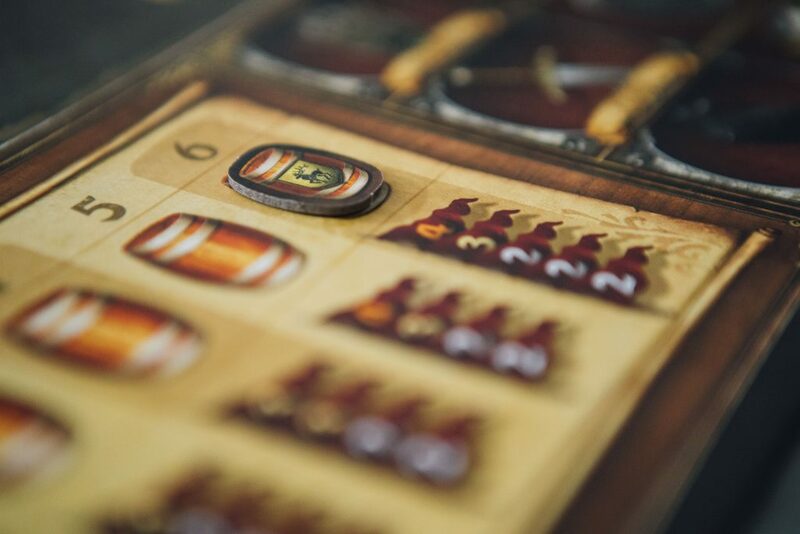 It’s complicated enough that unless you play it regularly, you’re going to spend a lot of time remembering how to play it each time it hits the table. Yet it doesn’t play fast, making it harder to get there in the first place. 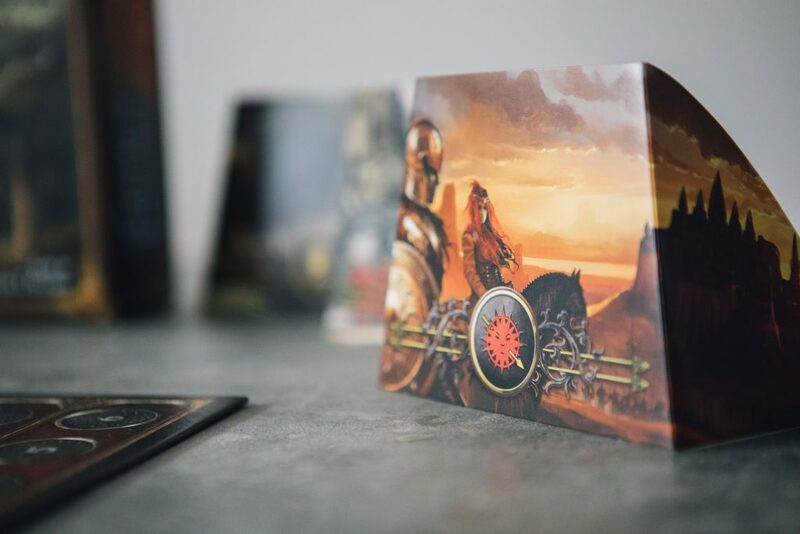 With the vast range of options available to you on your turn, further complicated by the actions of the other players and the extent to which your group embraces the whole metagame of alliances, even the most trigger-happy player at the table is going to take a little while to plan their move. The result is something that feels like a bit of an ‘event’ game – you’re not going to get through this in a weeknight evening. 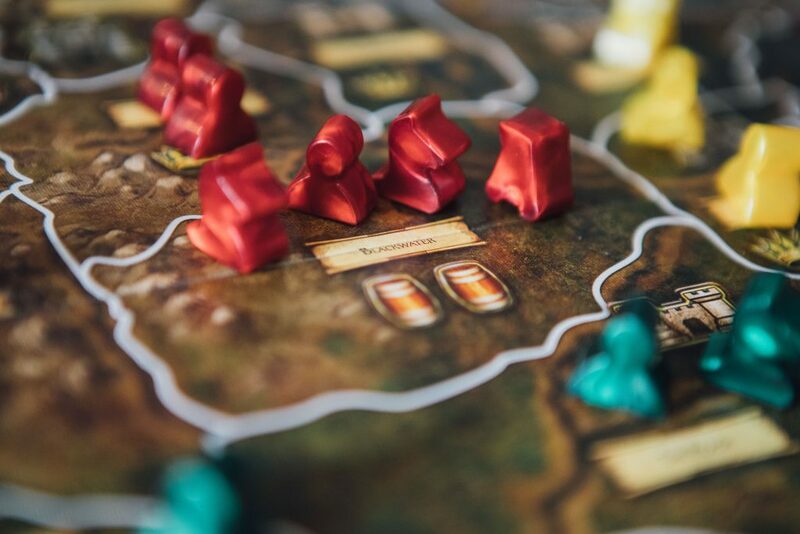 A lot is made about the role of alliances in the game too, but here’s the rub – there’s not much of an official mechanism in the game to encourage them. 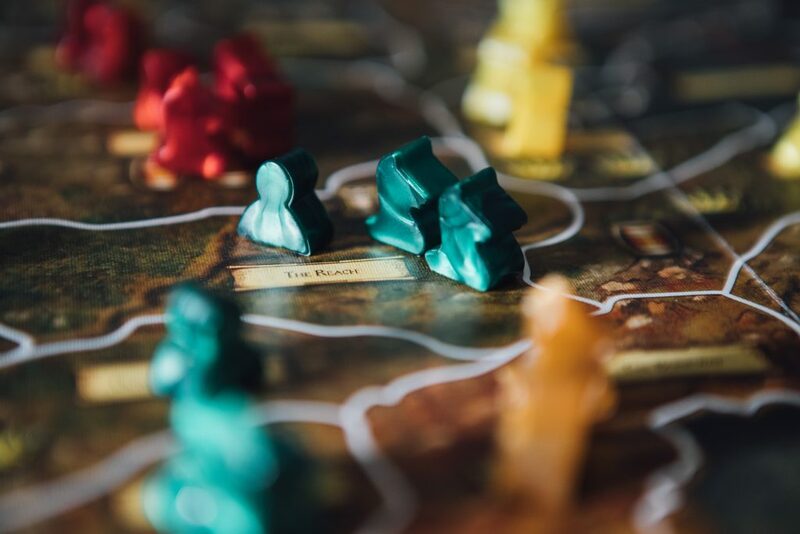 On the one hand, this keeps things fluid, but fluidity can also mean vague, and furthermore, it can render the politicking – the real ‘game of thrones’, if you will – a bit of a hit-or-miss affair depending on how fully people buy into it. 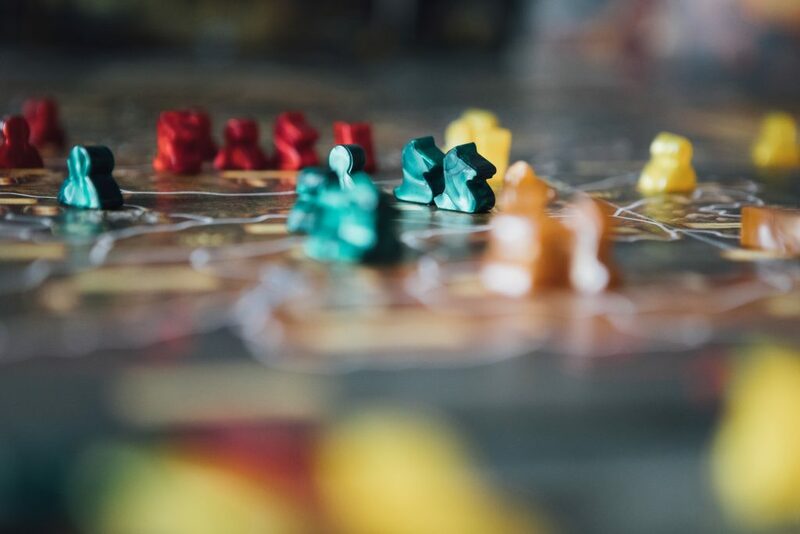 Be aware, too, that there are allegations of the perennial board gamer complaint – imbalance – when playing with four or five players (ie, less than the ideal/max player count of six). Luckily, I’m bad enough at the game that I’ve never encountered it, even when playing as the supposedly overpowered house, but for anyone less tactically inept than me, there are any number of house rules discussed online that don’t require you to hack your game to any great degree. I won’t go into whether this game ruins friendships or not here, because you probably know already whether a game based on an IP that celebrates bare-faced ambition, and encourages its players to do the same, is going to go down well with your group or not. But less easy to palate, perhaps – and certainly less immediately obvious – is the way in which it’s perfectly possible for a player to be sidelined and then stuck watching other people play to win for several hours. We don’t have an issue with player elimination per se here, but it’s harder to stomach when a game takes this long (and when you’re trying to convince people that no, this game really is better than Risk). At least, at the end of the day, there’s no question over that bit. It blows Risk out of the water. And it’s clever, inventive, and fun, if you don’t mind a bit of stressful decision making with your fun. It evokes so much of the world and feel of Westeros that fans of the show will find themselves immediately at home. And if you know you have a group of like-minded individuals, who enjoy spending time together even (especially?) 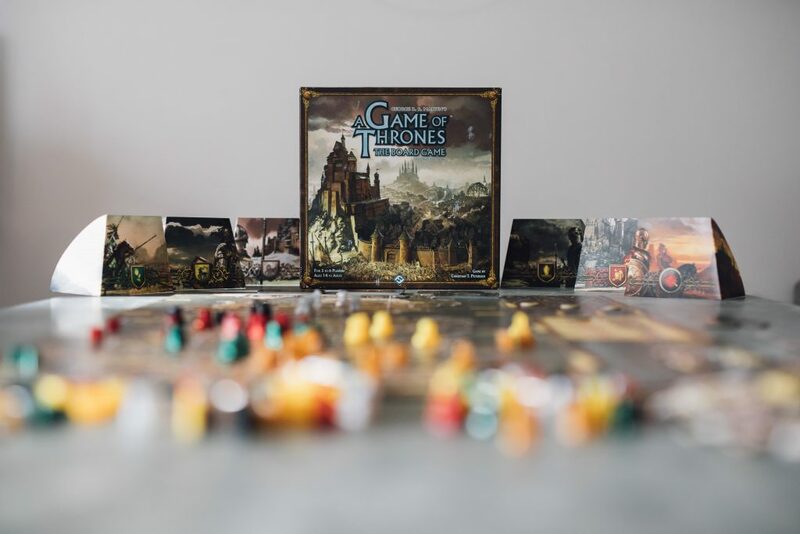 if that involves laughing uproariously at each others’ misfortune/rage, then there’s plenty in Game of Thrones: the board game to recommend. Just be aware of what you’re getting yourself into – and remember that a Lannister always pays his debts. Even your mate, Dave Lannister.